Titles: Rustic Dance (F.J. Haydn) * Siciliana (M.K. Waddington) * Allegro (F.J. Haydn) * Seguidilla (C. Salzedo) * Minuet No. 1, Minuet No. 3, BWV Anh. II 114/Anh. II 183 (J.S. Bach) * The Happy Farmer from Album for the Young, Op. 68, No. 10 (R. Schumann) * Glissando Waltz (W.A. Mozart) * Minuet No. 2, BWV Anh. 116 (J.S. Bach) * Petite Etude (V.V. Rogers) * A Short Story (H. Lichner) * Sonatina from Zwei Leichte Sonaten No. 1, Kinsky-Halm Anh. 5 (L. van Beethoven). Performed by Mary Kay Waddington. 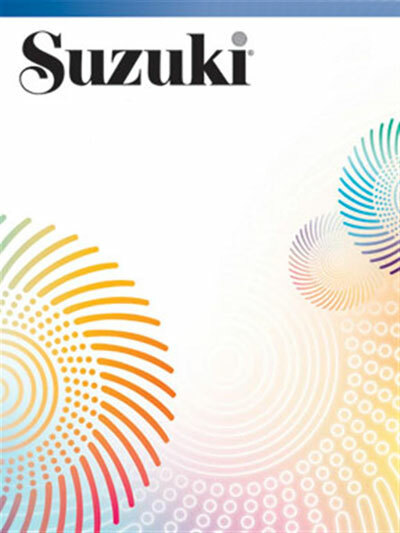 We received our copy of the Suzuki book and cd promptly and with no issues. Suzuki is a fantastic method to learn an instrument and to learn to read music, especially for people that are aurally oriented. Thank you Strings By Mail for our first great experieince with you.